When I moved to Thailand some years back, I eyed Thai Iced Tea suspiciously for several weeks before I decided to try it. It was probably the strange orange color, bordering on nuclear in appearance. But once I actually tried it, there was no turning back. The creamy sweet concoction tasted like milky heaven, and what was once an avoidance, became an obsession. As they say, never judge a book by its cover. 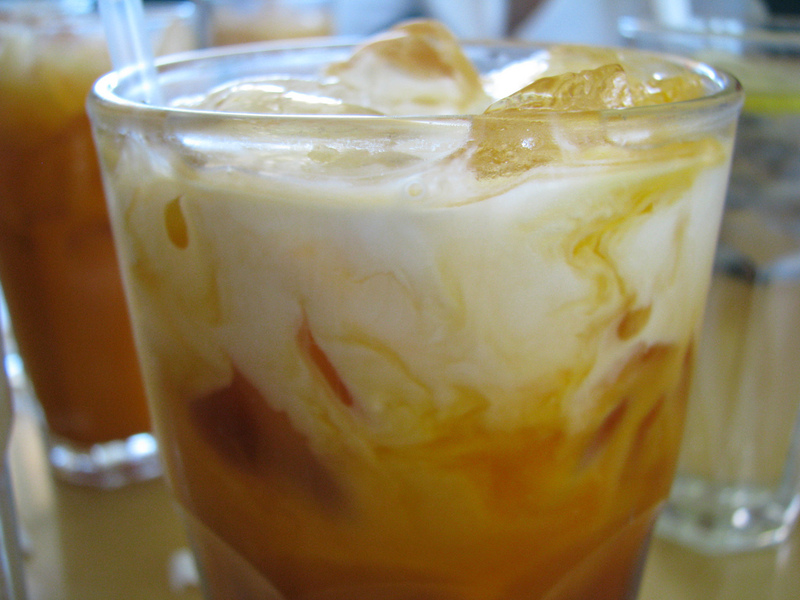 Nowadays, I don’t live in Thailand, but I still have a craving for a spot of Thai Iced Tea every now and again. And when I do, I used this easy recipe to make it at home. Then while tea is still hot, stir in sugar until dissolved, then stir in condensed milk. Next, allow tea mixture to cool to room temperature. Fill tall iced tea glasses with ice, and pour in tea mixture until glasses are roughly 3/4 full. Then, carefully top off the glasses with evaporated milk, whole milk or coconut milk, but do not stir as the final addition should remain as its own layer at the top of the glass. It’s very, very, very sweet. As such I prefer to enjoy it on its own rather than with a meal. If you are like me, you will start finding excuses to have it….afternoon treat, dessert, snack….